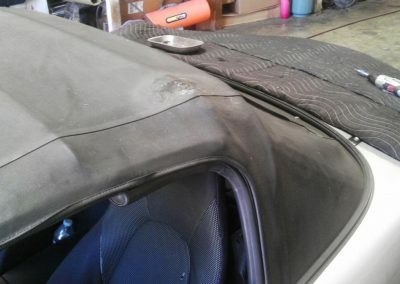 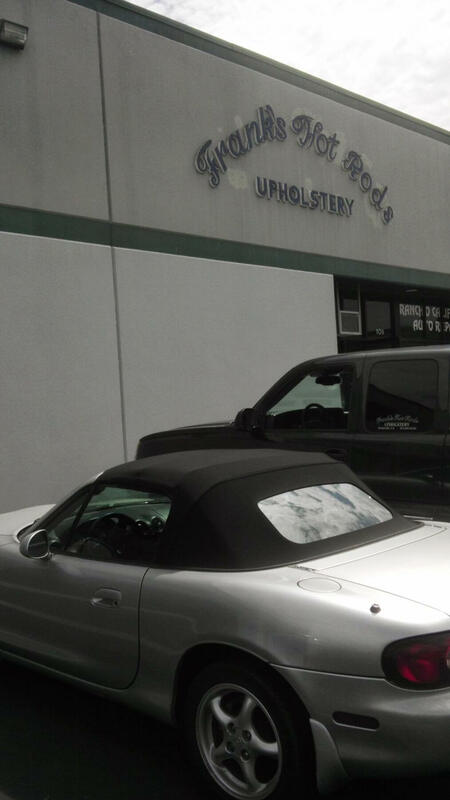 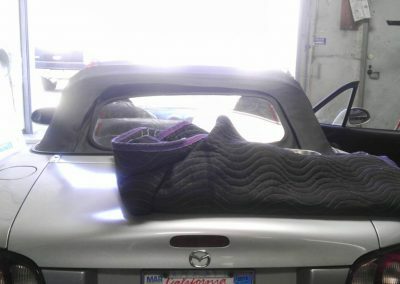 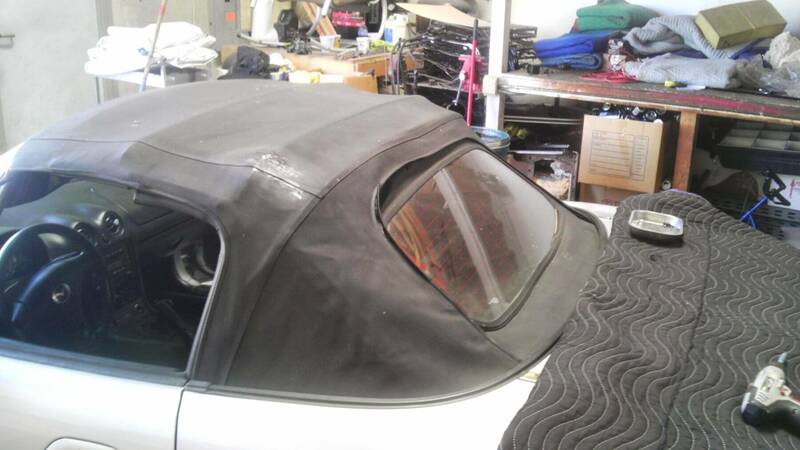 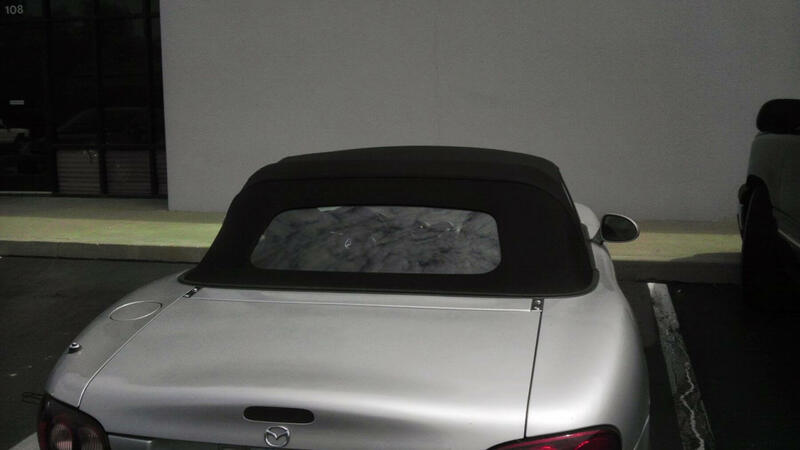 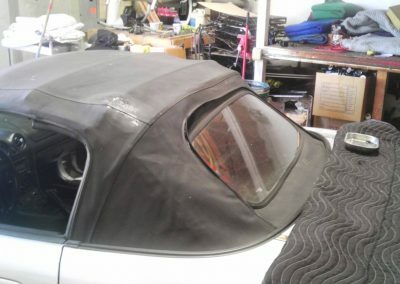 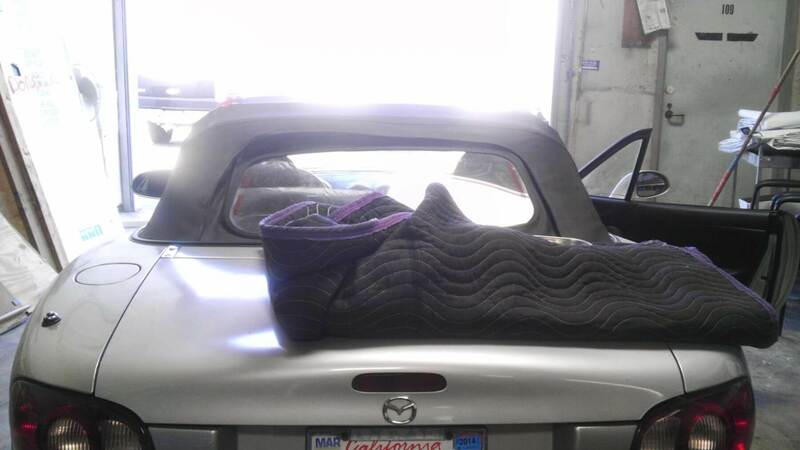 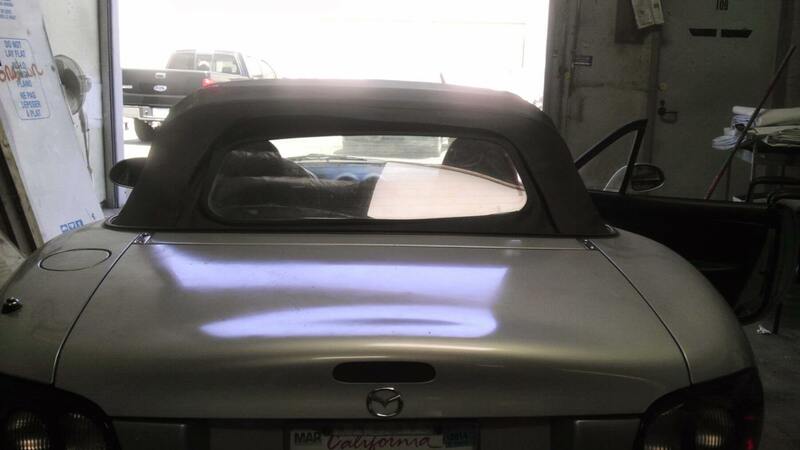 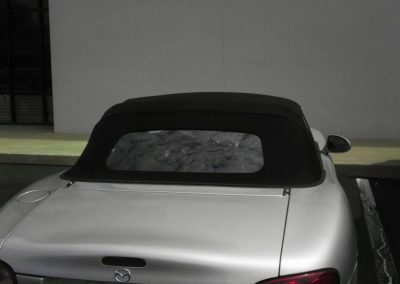 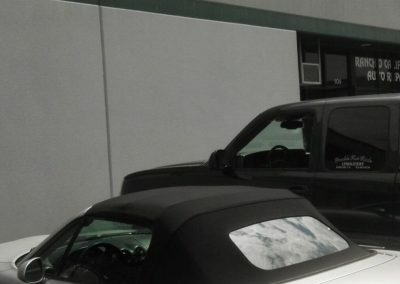 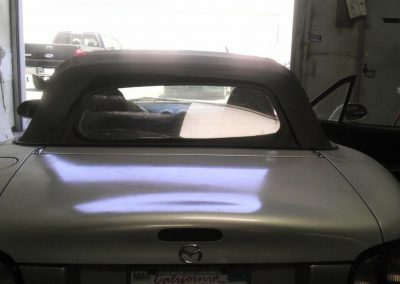 This Mazda Miata’s convertible top was being replaced because the original convertible top was torn in a couple places and the rear window was collapsing. 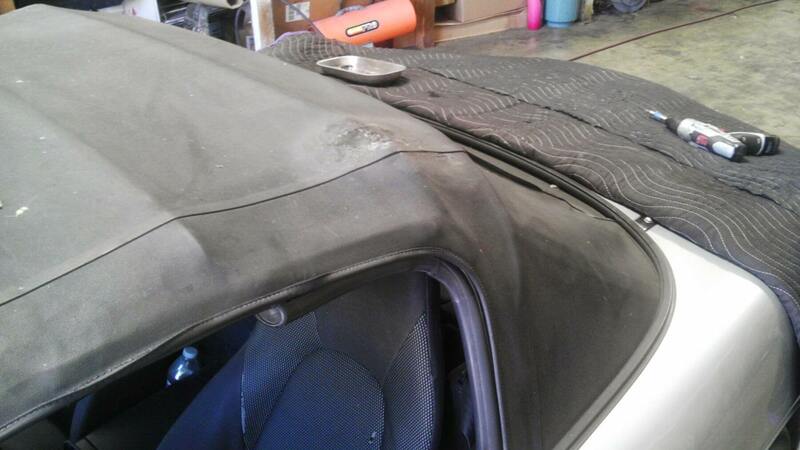 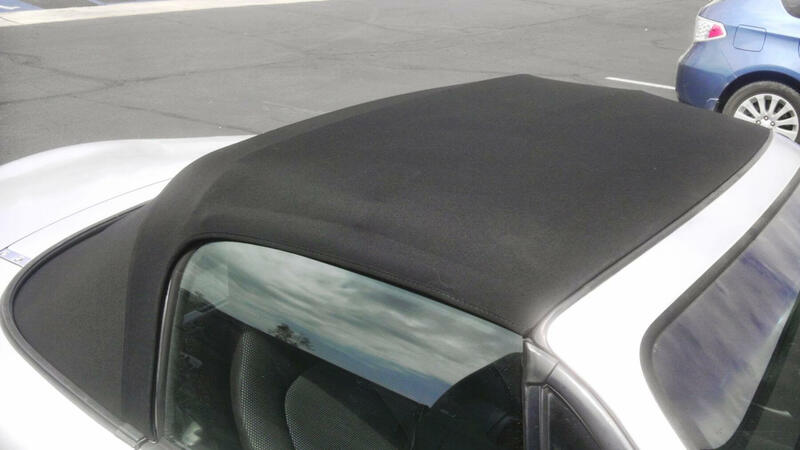 When replacing this particular top the customer decided to upgrade to a one piece convertible top. 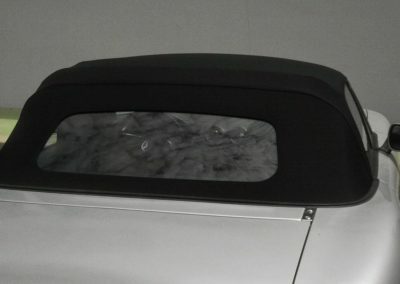 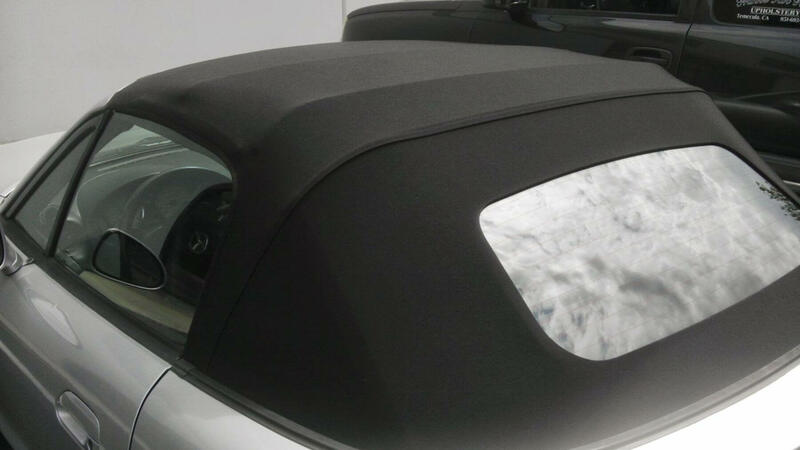 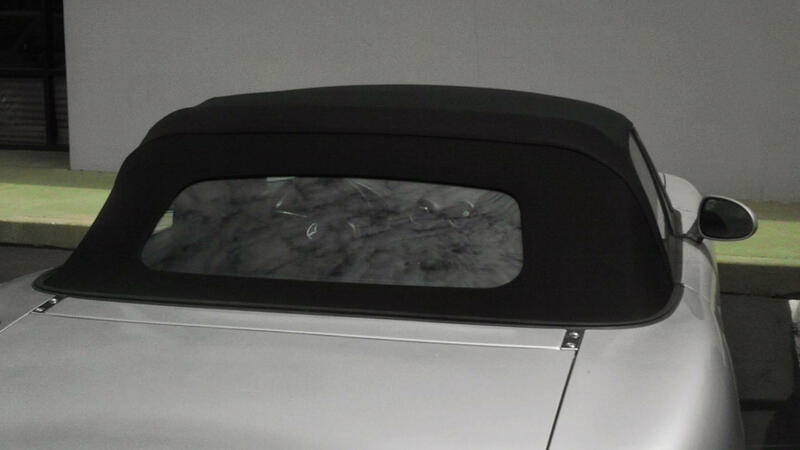 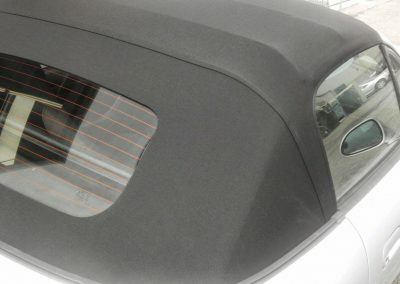 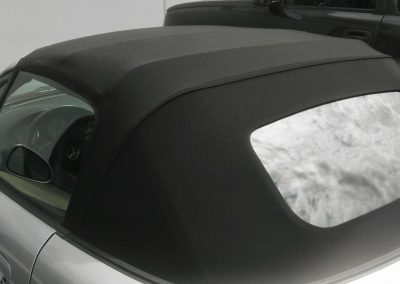 The one piece convertible top has the rear glass window sealed to the top and sold as one piece. 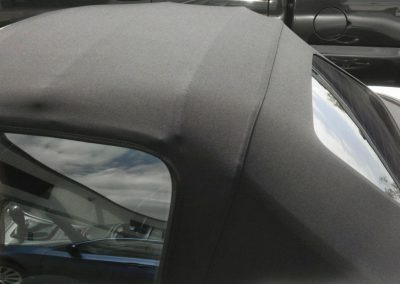 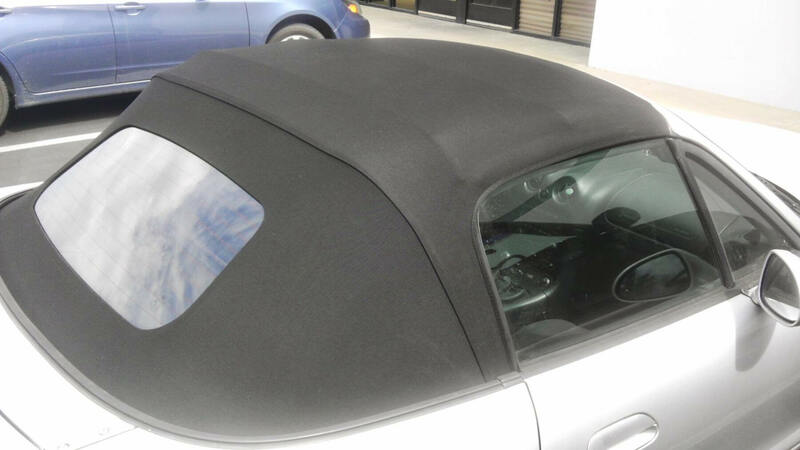 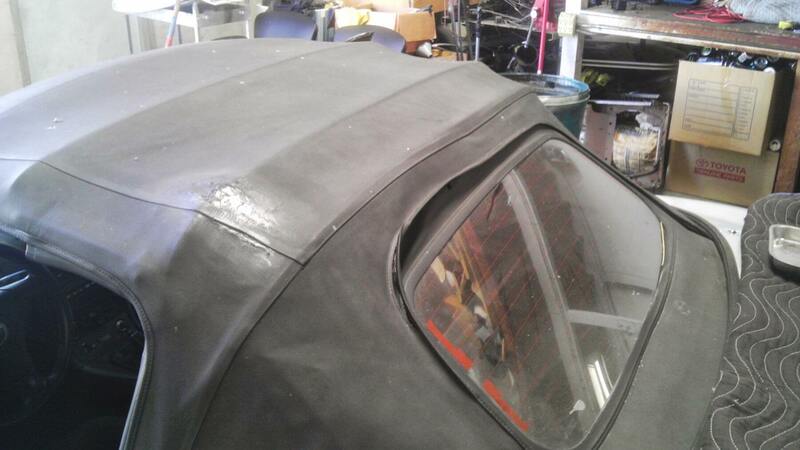 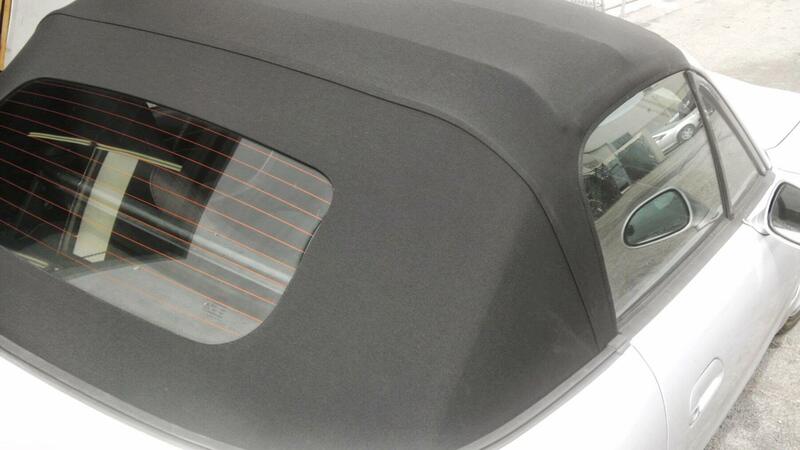 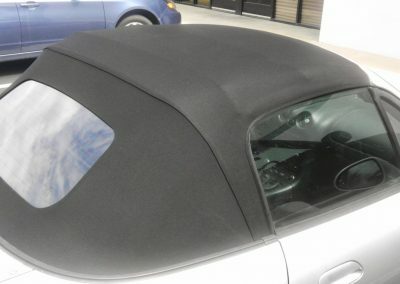 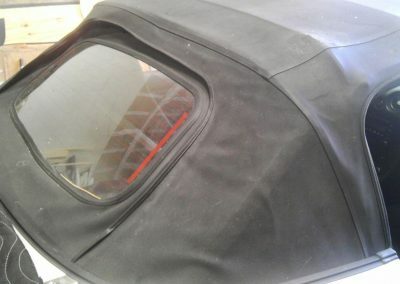 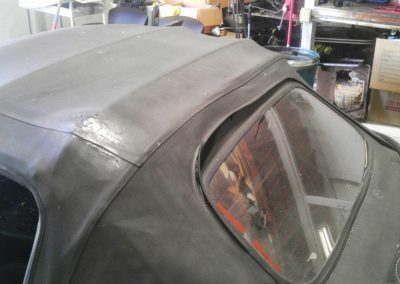 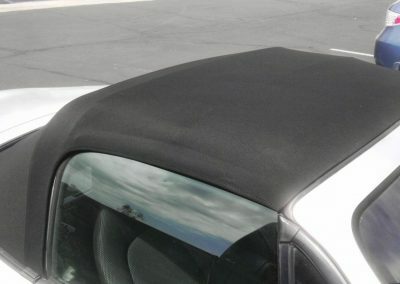 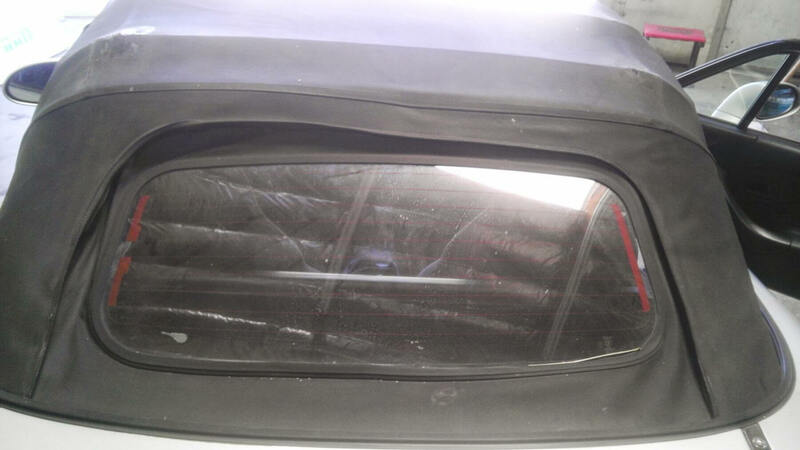 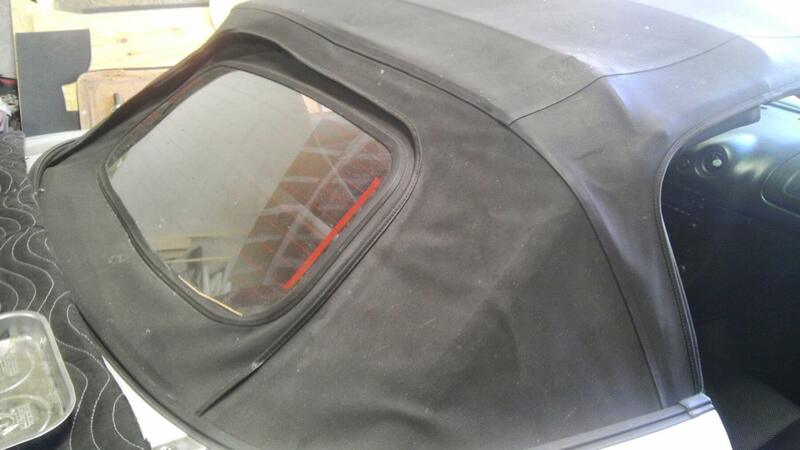 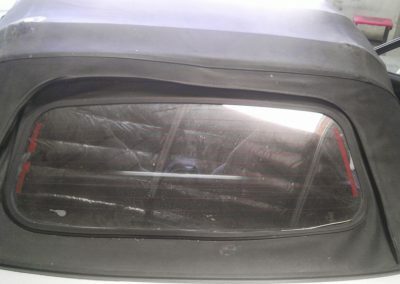 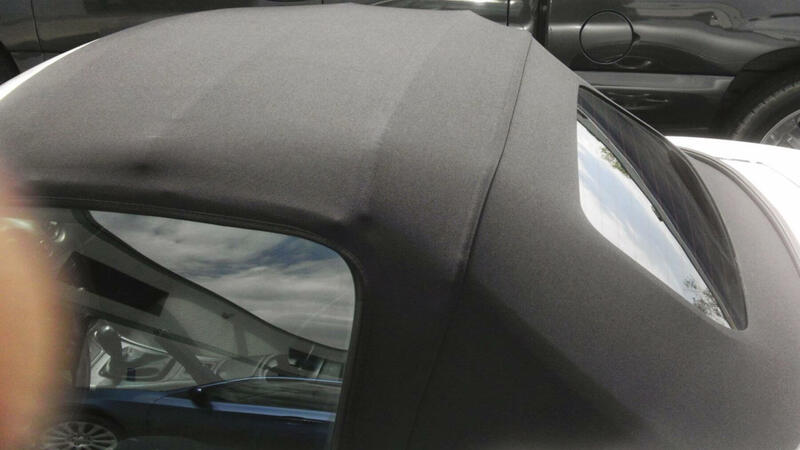 Below are pictures of the vehicle with the original torn convertible top and after the convertible top was installed.